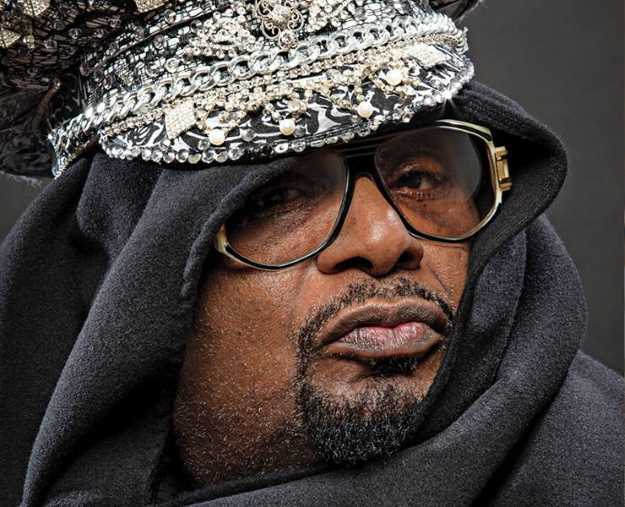 The venerable George Clinton turns 77 this year, and although he’s been guiding Parliament-Funkadelic, as the cosmic caravan is once again legally known, in some incarnation since the late-’60s, there has definitely been a convergence of activity in the past few years. Clinton produced a triple album for Funkadelic and published a memoir in 2014, released a single with Kendrick Lamar in 2016, and worked with producer Flying Lotus on a new Parliament project that yielded the single “I’m Gon Make U Sick O’Me,” which came out in January. Reportedly, Clinton has stated a Parliament album is to follow. Meanwhile, he’s hitting the road again with an ensemble that for years was billed as P-Funk All-Stars due to Clinton’s famously tangled history with contracts and litigation. While Parliament and Funkadelic are separate recording acts in name, both acts have essentially been the same group since Clinton first put a live band together to back his decade-old New Jersey-based doo-wop act The Parliaments after they scored a hit single with “(I Wanna) Testify” in 1967. When Clinton lost the rights to his act’s name, he brought the musicians forward and named them Funkadelic, with the uncredited Parliaments providing the vocals. Doo-wop was left in the dust in lieu of a new direction inspired by the psychedelic sounds of the time. Funkadelic channeled Motown and James Brown through Sly and the Family Stone and Jimi Hendrix, reaching an artistic high with guitarist Eddie Hazel’s playing on the title track to 1971’s Maggot Brain and peak success with 1978’s One Nation Under a Groove. The singers received credit again when Clinton created dance-music oriented Parliament in ’70, but by ’75 it was the main outlet for Clinton’s conceptual ideas. He created a mythology based in science fiction that came to full fruition on Parliament’s 1975 album Mothership Connection. Parliament-Funkadelic shows soon included a spaceship descending, with Clinton emerging in galactic-pimp finery as Dr. Funkenstein. Parliament scored hits with “Flash Light” and “Aqua Boogie,” driven by the groundbreaking synthesizer work of keyboardist Bernie Worrell. The controlled chaos that fueled P-Funk was unsustainable though, and by the ’80s Parliament-Funkadelic was no longer a cohesive concert draw. Clinton recorded under his own name in the studio, while acts such as Prince and the Red Hot Chili Peppers kept the funk fire alive with music heavily influenced or produced by him. Clinton continued to perform with a group dubbed the P-Funk All-Stars, which began touring extensively in 1989. Clinton established P-Funk shows as can’t-miss concerts, with emphasis on party atmosphere and now-iconic stage characters such as Sir Nose D’Void of Funk more than elaborate set design. The spirit of Afrofuturism remains very much present, however, as are P-Funk associates such as guitarists DeWayne “Blackbyrd” McKnight and Garrett Shider, who took over the role of “Diaper Man” from his father, the late Garry Shider. With multiple generations of musicians to draw on and Clinton claiming to having made a hologram of himself, Parliament-Funkadelic could give up the funk in some form for decades to come.